BUT WHO TO GIVE THEM TO…? 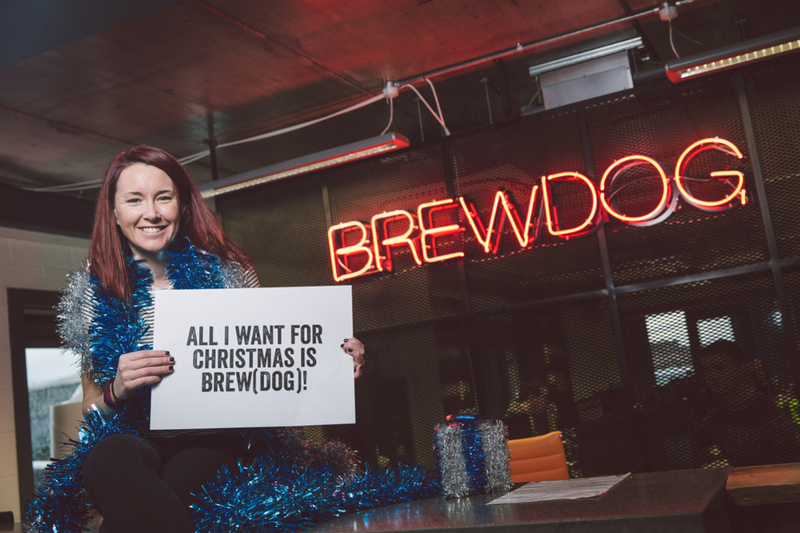 We recently dialled up the ability for you to purchase shares in BrewDog as a gift for somebody else. Applications have been coming in thick and fast ever since, and as we are start the second week of Advent, Christmas isn’t merely around the corner, it’s charging hard towards everyone, unstoppable as ever. If people you know are dropping hints, here are two ways we can help! Buying shares for your nearest and dearest couldn’t be easier – as we detailed a couple of weeks ago. Simply head to the dedicated area of our website, check out the prospectus, and hit the button marked 'Gift Shares'. The person that you nominate will then receive all of the benefits of being a BrewDog shareholder, such as lifetime discounts in our bars and online shop, an invite to the #PunkAGM and Beatnik brewday, and a free beer on their birthday, each and every year (which should at least guarantee you a birthday card in return). …Alternatively, you can apply by paper form in our bars - and to make it even easier to give the gift of BrewDog shares, at the end of this week we will have Equity for Punks gift vouchers available! You can purchase these in any of our UK bars, with each voucher representing one share. Simply talk to the bar staff and then you can buy any combination in multiples of the £47.50 share price. The beauty of them is they can instead be used as an alternative to cash when applying for shares! As with all vouchers, they need to be redeemed – you won’t automatically become a shareholder when they are in your hand. When purchasing the vouchers you’ll also get a form on which to attach them, so the process can be done there and then as a gift, plus an envelope to make it all super easy. Or you can pass them on to the lucky recipient, and they can apply to become an Equity Punk themselves! All applications using the vouchers must be received by the close of Equity for Punks IV on the 20th April 2016 – but any vouchers not redeemed can be used for an entire year afterwards in our bars and BottleDogs against anything you can buy in our bars. They can be purchased from our bars at any point right up to Christmas (and beyond), so make a perfect last-minute stocking filler! As long as there is someone in your life who loves craft beer (and as you’re reading a craft beer blog that’s a reasonably high probability) then BrewDog shares make the ideal gift. Even if that person is starting out on their beer odyssey, they can use the perks of being an Equity Punk to learn more about the joy of beer, and how it differs from all those poorer alternatives that are out there. Ok Bowman, enough already! We’re building one! Investments should only be made on the basis of the information contained in the prospectus, available on our website, and remember invested capital is at risk.